Obtaining a Wyoming commercial driver’s license is an essential part of becoming a commercial truck driver. Without a CDL, your opportunities in this industry will surely be limited. To protect those who are on the road, the federal and state now require CDL applicants to pass several qualifications before they can obtain a commercial driver’s license. The first requirement is to meet the minimum age requirement. CDL applicants must be at least 18 years old to drive within the state or 21 years or older to drive interstate. Aside from this, applicants must also be able to provide proof of residence, possess a valid Wyoming driver’s license, and show proof of citizenship. Having serious traffic violations committed within the last 2 to 3 years can seriously jeopardize your application for a CDL. To ensure that drivers are physically fit, applicants are required to obtain a DOT medical certificate. Once you have all the required documents, your next step is to apply for an instruction permit. An instruction permit will allow you to drive a specific commercial vehicle while under the supervision of a licensed driver. You’ll need this permit to proceed to the next part of the CDL application process. Obtaining this permit involves you passing a vision test and written exams. Aside from the General Knowledge Test, additional exams will be given for each endorsement you wish to have. Wyoming instruction permits are only valid for up to six months. You must schedule and take your road test while your permit is still valid. All applicants must provide their own commercial vehicle, and must be accompanied by a licensed driver to the testing center. The first part of the road test is the pre-trip inspection, which applicants will be required to perform and explain the reason for the inspection; the second involves demonstrating basic driving skills, such as maneuvering the truck in a private location; the last part is the on-road testing where you will drive your commercial vehicle in an actual traffic situation. If you manage to pass all three parts, you will be given a Wyoming CDL after paying the license cost. The SAGE Truck Driving School is one of the biggest commercial vehicle training schools in the country. It brings students hands-on CDL training and trucking jobs. Not only is their training top quality, but they are also offered at an affordable value. To help accommodate the students’ busy schedules, their classes may be taken either daytime or nighttime. Mountain West Commercial Driving School is backed by over 33 years of industry experience, dedicated instructors who have the know-how and expertise to train students to be successful in this industry. In addition to a personalized investment in their students, they also commit to fully service their relationships with both State and Federal agencies to help students get started after they receive their CDL. 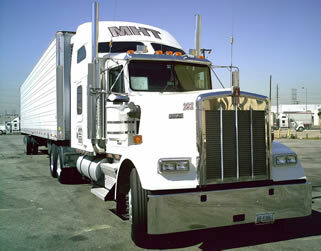 Getting a Wyoming truck driving license is necessary part of becoming a commercial truck driver in this state. Newer state and federal rules now require applicants to pass several qualifications before they can be allowed to drive commercial vehicles legally. This had been brought about due to recent statistical studies which showed that common vehicular accidents are caused by certain physical conditions which affected a person’s driving skills. Also, recent threats of terrorism had sparked stricter rules for those who are applying for a hazardous materials endorsement. 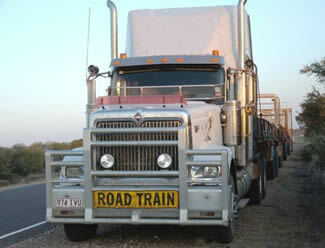 The first requirement to getting your truck driving license in this state is to be at least 18 or 21 years old. If you will be applying for an intrastate license, you would need to be at least 18 years old while if you are applying for an interstate license, you should be at least 21. Aside from this, you should show valid proof of residence in Wyoming, have a valid Wyoming driver’s license, and show proof of legal status in the United States. You will also have to undergo a background check on your driver’s license. Having serious traffic violations for the past 2 or 3 years may lead to your application being denied. When you have these documents, you should then apply for an instruction permit which will allow you to drive the commercial vehicle that you are applying for. Visit a DMV office to pick up an application form for a truck driving license as well as a DOT medical form. You can also download these application forms through their website. Once you have finished your DOT medical exam as well as a vision exam, you can then proceed to submit these together with the other requirements to take your written test. The test will be based on the Wyoming CDL Manual so make sure that you prepare by reading the manual well before taking the exam. You need an 80% rating in order to pass this test and acquire your instruction permit. The permit is valid for 6 months and can only be renewed once. During this period, you will have to learn as much as you can about actual truck driving in order to prepare for the road test which will be conducted right before you earn your license. The Wyoming CDL Manual will definitely be of help as it points out the specific areas where you will be tested on. Before your permit expires, you must be able to take the road test costing $40 which will cover several areas. The first is the pre-trip inspection which you will be required to perform and explain why you have to do so; the basic driving skills which involve maneuvering the truck in a private location; and the road test where you will be required to drive in an actual traffic situation. You will need to pass all of these tests in order to get your Wyoming truck driving license. The license costs $25 and is valid for 4 years. Those who are in need of training can find truck driving schools in WY to help learn the basics and prepare for the licensing exams. Classes will offer behind the wheel training as well as classroom knowledge instruction. In addition many schools help their graduates with job placement upon receiving their license. To find out more about the latest CDL requirements you can click the link to the driver’s manual below.